Line-wary fish are fooled time and time again by the incredibly low visibility of this remarkable line. Sufix Castable InvisiLine 100% Fluorocarbon is also exceptionally strong, ties a great knot and offers outstanding abrasion resistance. 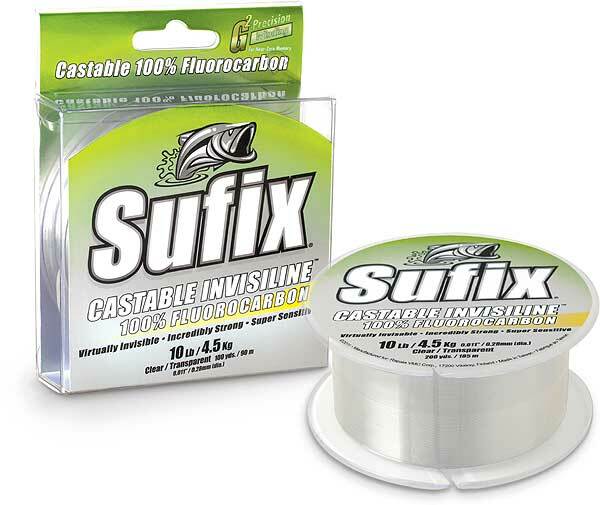 Freshwater or salt, Sufix InvisiLine can make you a more productive fisherman. By combining two HQ-Level fluorocarbon resins with G2 Precision Winding, Sufix has created a nearly invisible 100% fluorocarbon line that casts better then ever.